Product code: 00025 Categories: The Beach, Necklaces. The layered circles pendant is hand made from recycled silver and is approximately 3cm in length. 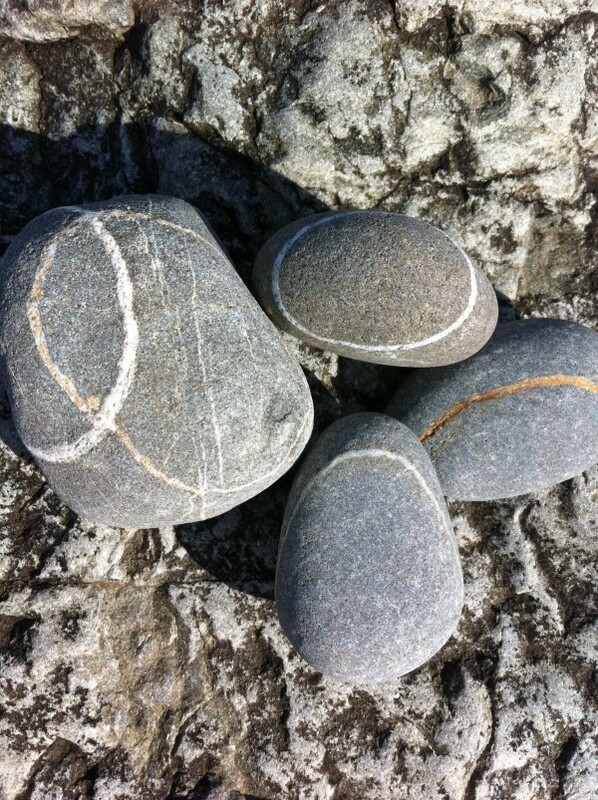 It’s made up of three different size circles which are not attached to each other allowing them to move freely. 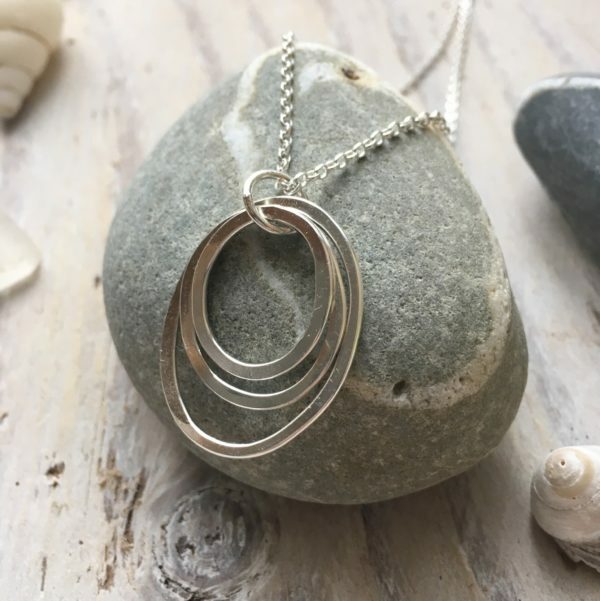 This pendant was inspired by the rings of quartz found in many beach pebbles. 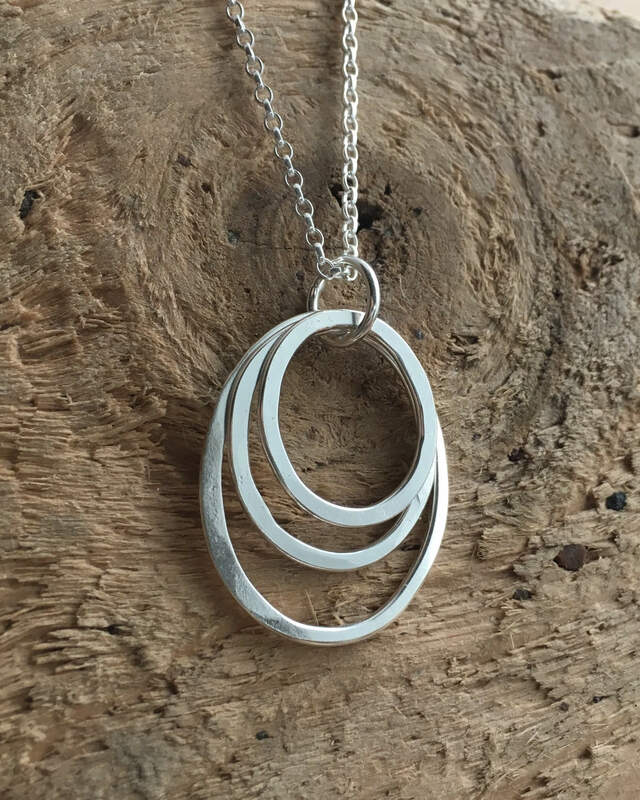 Like the rings of quartz, the circles are uneven and each pendant is slightly different. Your pendant will be made to order and due to the hammering process used, no two will be exactly the same. It comes on your choice of a 40 cm, 45 cm or 50 cm, sterling silver chain. You can choose to have your pendant in a drawstring bag or a recycled box. There are earrings available, inspired by the same pebbles.